During your search to buy visitors insurance for a trip to the US, you may have come across two similar travel medical insurance plans: Inbound USA and Inbound Guest. At a first glance, these travel insurance plans may look identical to you, so what is the difference between Inbound USA and Inbound Guest insurance? 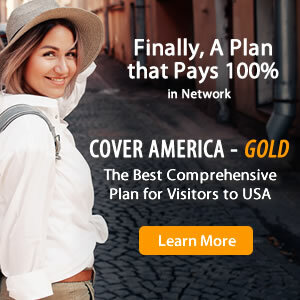 Inbound USA insurance and Inbound Guest insurance plans are both administered by Seven Corners. Both travel insurance policies are limited coverage plans, meaning that they pay claims according to fixed benefit tables. The comparison chart below highlights the key differences between Inbound USA insurance and Inbound Guest insurance, so you can make the best decision when buying travel insurance.